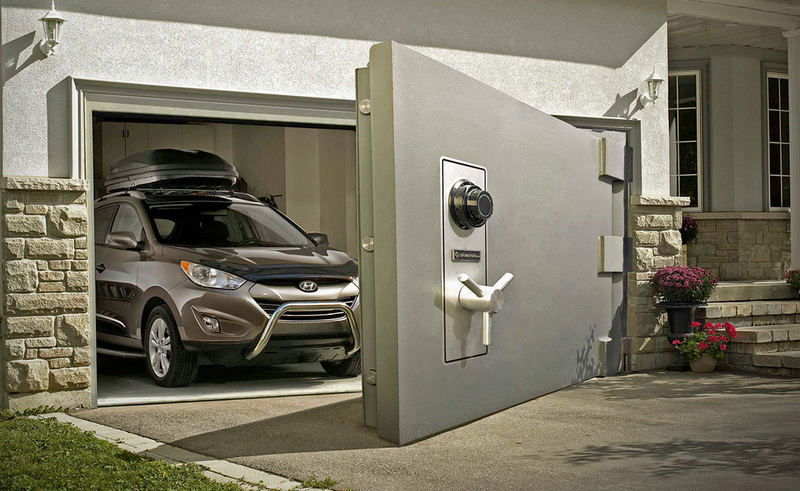 What better way to protect your accessorized vehicle than putting a heavy duty Vault Door on your garage. This shot was taken by Terry Collier Photographer to illustrate how many accessories are available for the Hyundai line of vehicles. Art Director was Bart Smith for Innocean Advertising.